Angie's List... We are honored to be on the short list of auto repair facilities that consumers rate as one of the best. Better Quality Repairs...Our technicians get paid to diagnose your problems regardless of how difficult or time consuming. Dealers use a Flat Rate Method that doesn't pay their people for diagnosis, so they use the Educated Guess System. Your Choice Pricing...we offer you a choice on pricing and warranties and we have menu pricing. Dealers have a Flat Rate Price. $14.95 Rental Cars...We have low price rentals to us while your vehicle is being serviced. No Hidden Fees...we do not charge extra fees. Dealers may put 5%-7% on your bill for supplies like seat covers and floor mats. Faster Service...We repair most cars in1 to 2 days because we have almost no warranty work to do. Dealers 3 to 4 days. 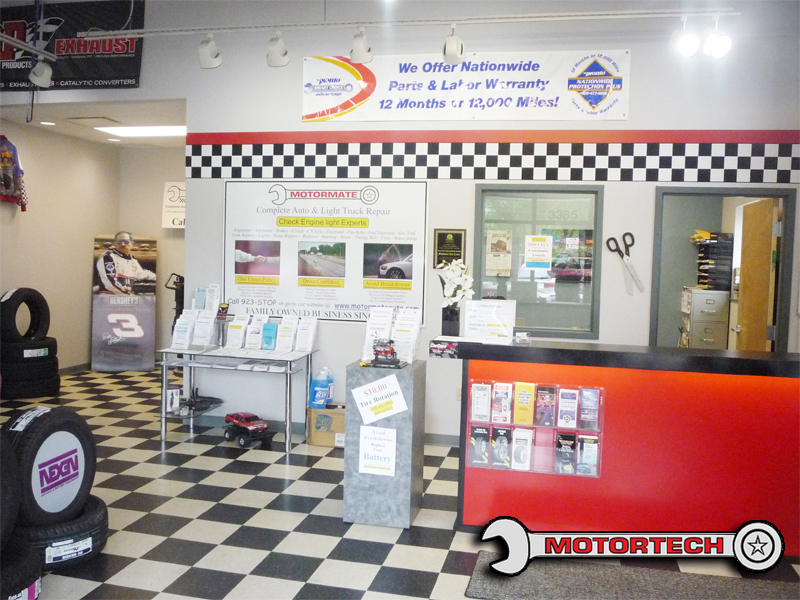 Faster Appointments...We can get you in for service within 1 or 2 days and sometimes the same day. Dealers 7 - 10 days. Friendlier Service...Our staff enjoys their job and our customers never have to yell to get their vehicle fixed.. Dealers may have yelling. Service Not Selling... we won't try to sell you a car instead of just fixing yours...Dealers would rather sell a new car. We Keep You Updated... Dealers will close without calling you.